Congratulations to the top 3 drivers in the WSK Master Series event in Kartodromo La Conca all running the Tillotson HC-102A carburetor! Following on from his success at the Margutti Trophy, its another victory for Ward Racing driver Sasha Vartanyan (Tonykart/Vortex), followed by Leonardo Lorandi (Tonykart/Vortex) in 2nd and Felice Tiene Official (CRG/IAME) in 3rd…. Read more about Tillotson 1-2-3 in WSK La Conca! Push The Button!! 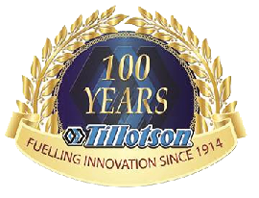 Our latest carburetor design is making headwaves across Europe in the KF categories and the performance of the latest line of Tillotson carburetors is becoming more clear at each event! In KFJ Parker Thompson (Energy/TM) and Martijn Van Leeuwen (Zanardi/Iame) have raced the Tillotson HW23A with very impressive results and both were… Read more about Push the Button! Racers Gamble For Glory In Vegas!!! The 16th annual Superkarts USA (SKUSA) SuperNationals were held at the Rio Hotel in Las Vegas with the largest entry of the events history and in fact the largest entry for any event worldwide on the karting calendar. Many of the top European drivers made the trip to battle it out against the US and Canadian contingent… Read more about Racers Gamble For Glory In Vegas!! !